ADASS responds to £4.8 million announced in funding by NHS Digital for councils and partner organisations to bid for digital adult social care projects on a wider scale. A new coalition of health organisations has been formed to support a long-term settlement for social care services in England, and have set up a petition calling for vital funding that care services need. ADASS responds to the Local Government and Social Care Ombudsman’s launch of a good practice guide for care providers. ADASS responds to an Independent Age report on care home performance across England. ADASS have recently reviewed our organisation and are now looking to appoint a Deputy Chief Officer on a two years fixed term. This new role will both enhance our capacity and help lead us through the next stage of our development. ADASS President Glen Garrod responds to CQC research. We have an exciting opportunity for a Communications, Membership and Events Co-ordinator to join the team on a fixed term basis for two years. ADASS responds to The Mental Capacity Amendment Bill. We are seeking to appoint a temporary part time senior member of staff who will bring additional social care expertise and capacity to the policy and implementation team. Wishing you a very Happy Christmas from all at ADASS with our annual Christmas Card. Response to the Prime Minister’s announcement of £3.5 billion a year in new real terms funding for primary and community healthcare by 2023/4 under the NHS Long Term Plan. Austerity has not ended for older and disabled people with the undervaluing of adult social care continuing to have a detrimental impact on them, their families and communities, warns the Association of Directors of Adult Social Services (ADASS).In a speech to the National Children and Adults Services Conference (NCASC) in Manchester today, ADASS President Glen Garrod will say austerity reducing care and support for older and disabled people has “gone too far” and that “the consequences on individuals and their families are not sufficiently well understood”.Mr Garrod will also warn that it is “looking like government…seek to use social care as a pressure valve, simply to ease the burdens on the acute NHS.” This just makes things worse, as without social care people need more healthcare. Glen Garrod, President of the Association of Directors of Adult Social Services (ADASS), responds to the latest Delayed Transfers of Care figures for September 2018 published by NHS Digital. The ADASS Media Roundup, from September 28 - November 2nd inclusive, featuring coverage of the Budget. Glen Garrod, President of the Association of Directors of Adult Social Services, responds to the report of the Public Accounts Committee on Social Care and Health Integration. Glen Garrod, President of the Association of Directors of Adult Social Services, (ADASS), responds to the latest Delayed Transfer of Care figures published by NHS Digital. Glen Garrod, President of the Association of Directors of Adult Social Services, responds to the 'State of Care' report published by the Care Quality Commission today. Glen Garrod, President of the Association of Directors of Adult Social Services, responds to the announcement by the Health and Social Care Secretary, Matt Hancock, that £240 million is to be made available to social care teams to help tackle winter pressures. The ADASS Media Roundup for July to October. Glen Garrod, President of the Association of Directors of Adult Social Services (ADASS), responds to Age UK’s report on funding care for older people. Julie Ogley, Vice President of the Association of Directors of Adult Social Services, responded to the latest Delayed Transfer of Care figures, which show that delays attributable to social care fell by almost 40 per cent compared to June last year. Glen Garrod, the President of the Association of Directors of Adult Social Services, responds to the Care Quality Commission report Beyond Barriers. Glen Garrod, President of the Association of Directors of Adult Social Services, responds to the Joint Housing, Communities and Local Government and Health and Social Care Joint Select Committee’s report on social care funding. 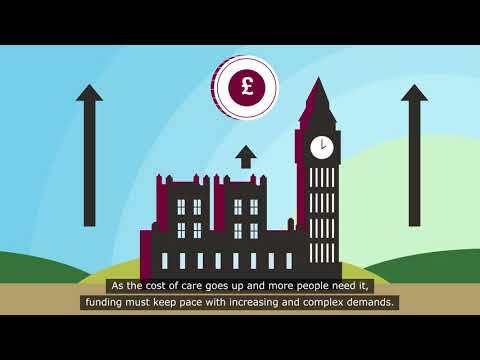 Glen Garrod, President of the Association of Directors of Adult Social Services (ADASS), responds to the announcement of additional funds for the NHS to mark it's 70th birthday. Glen Garrod, President of the Association of Directors of Adult Social Services, responds to the NHS’s announcement of a new ambition to reduce lengths of stay in hospital by 25 per cent. Glen Garrod, President of the Association of Directors of Adult Social Services, responds to the Government's announcement of a Carers Action Plan. The ADASS Media Roundup, for 8th - 23rd May inclusive. Glen Garrod, President of the Association of Directors of Adult Social Services (ADASS), responds to the Public Accounts Committee’s Report on the future of social care. The ADASS Media Roundup, for 26th April to 8th May inclusive. Last night, Hospital on BBC Two revealed first-hand the pressures that are facing health and social care teams across the country, with an emphasis on the challenges teams are facing managing delays in transfers of care. The ADASS Media Roundup, for 27 March - 16 April inclusive. Margaret Willcox, President of the Association of Directors of Adult Social Services, (ADASS) responds to the Joint Committee on Human Rights’ inquiry on Deprivation of Liberty Safeguards. The ADASS media roundup, for 12th - 27th March inclusive. Margaret Willcox, President of the Association of Directors of Adult Social Services (ADASS), responds to a report by charity Independent Age on adapting rented housing for older people. Margaret Willcox, President of the Association of Directors of Adult Social Services (ADASS), responds to the social care green paper announcement by the Secretary of State for Health and Social Care. The ADASS media report for 28th February - 12th March inclusive. Responding to the latest Delayed Transfer of Care Figures, Margaret Willcox, President of the Association of Directors of Adult Social Services, (ADASS), said:“Councils are doing all they can to reduce the number of delayed transfers of care due to social care. If we are to ease the winter pressures on the health service, it’s essential we get people out of hospital and make sure they get the appropriate social care they need. ADASS' Vice President, Glen Garrod, has appeared before the Public Accounts Committee to brief them on the Social Care Workforce. Margaret Willcox, President of the Association of Directors of Adult Social Services, (ADASS), responds to the National Audit Office's Report on emergency admissions. The Media Roundup for ADASS Coverage, for the 13th February - 28th February inclusive. Margaret Willcox, President of the Association of Directors of Adult Social Services (ADASS), responds to the King’s Fund and Health Foundation interim report on funding adult social care. The ADASS media roundup, from 05.02.2018 to 13.02.2018 inclusive, is below. Margaret Willcox, President of the Association of Directors of Adult Social Services, (ADASS) responds to the latest Delayed Transfer of Care figures. Margaret Willcox, President of ADASS, responds to the National Audit Office’s report on the workforce for social care. Margaret Willcox, President of the Association of Directors of Adult Social Services (ADASS), responds to the announcement of £150 million in extra funding for adult social care in the final Local Government Finance Settlement. The latest ADASS media round-up for the period 22-29 January inclusive. The ADASS Media Round-up for 15 - 22 Jan inclusive. ADASS RESPONDS TO APPG FOR HUNGER REPORT ON MALNUTRITION IN OLDER PEOPLEResponding to the All-Party Parliamentary Group on Hunger’s report on malnutrition in older people, Margaret Willcox, President of ADASS, said:“The thought of older people going hungry because they are isolated, have limited mobility, or are depressed is appalling, and social care staff do what they do because they are keen to do anything within their power to help.“Hunger is a serious issue for older people, but it’s often just one symptom of wider issues, which is why it is our view that social care solutions should be personalised, and focus on the individual needs of the person in question." Responding to Sir David Behan’s announcement that he is stepping down from the Care Quality Commission in the Summer, Glen Garrod, Vice President of the Association of Directors of Adult Social Services, said:“We congratulate Sir David on a remarkable career in health and social care, which has spanned more than forty years and had a huge impact on ensuring social services provide quality care to adults with disabilities and older people.